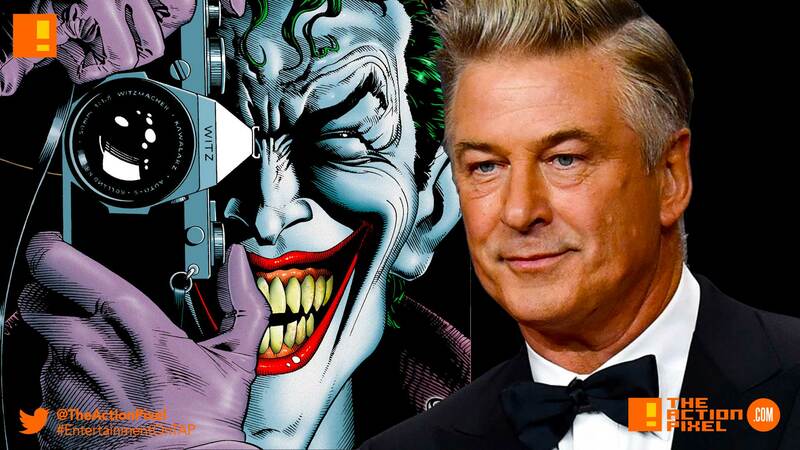 It looks like actor Alec Baldwin has stepped out of the production of the Joker. Originally drafted to play (purportedly) Thomas Wayne, Alec Baldwin has cited “scheduling issues”, amongst other things, as reasons for his departure from the role. Let me state, for the record, that I have NOT been hired to play a role in Todd Phillips’ JOKER as some Donald Trump manque. That is not happening. Not. Happening. And that’s the thing. Thomas Wayne in the Joker film is being described as “a cheesy and tanned businessman who is more in the mold of a 1980s Donald Trump.” And of course we are all aware of his spot-on satire of the Master-in-Cheese Number 45 on SNL. Now that wouldn’t go over too well. And now reading the description of the character, the last thing DC needs is a tongue-in-cheek reference. Particular one that would be more at home in a Deadpool outing than an attempt by DC to get their films back on terra firma. A good call in any case. The Joker film is reportedly set in the 1980’s, the Joker tale will be “exploration of a man disregarded by society [that[ is not only a gritty character study, but also a broader cautionary tale”.